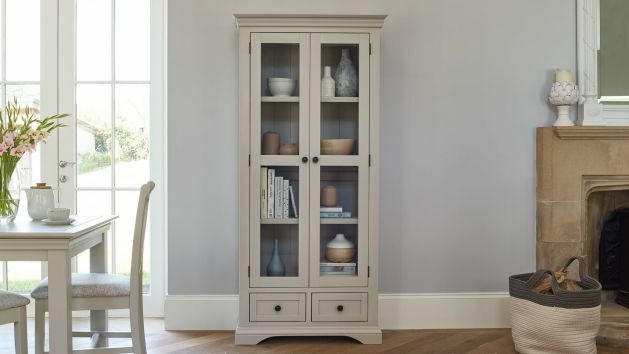 Our beautiful painted and mango display cabinets bring storage and style into your home. Great for living and dining rooms! Our painted Display cabinets are fantastic pieces, allowing you to safely store and showcase your favourite belongings. Our beautifully designed mango and painted display cabinets have been carefully crafted as the perfect canvas for your collections. All our display units feature thick solid hardwood shelves, which won't bend or bow over time. The units are glazed to protect what's inside, and many feature a drawer for additional hidden storage. In our stunning painted and mango display cabinets, we've created versatile looks for your living or dining room. Don't forget to browse all our painted and mango furniture collections, all with free delivery to the room of your choice!